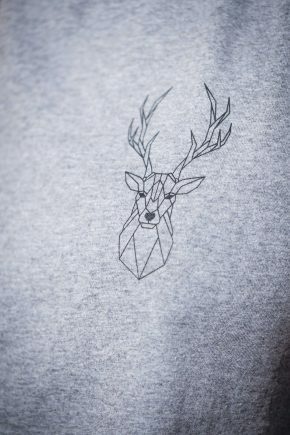 69,90 € (Deutsch) inkl. 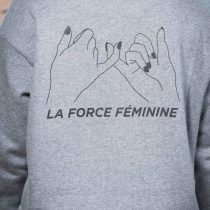 19% MwSt. 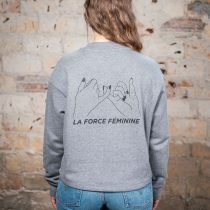 Loose cut sweatshirt made of 100% organic cotton with LA FORCE FÉMININE print on the back. 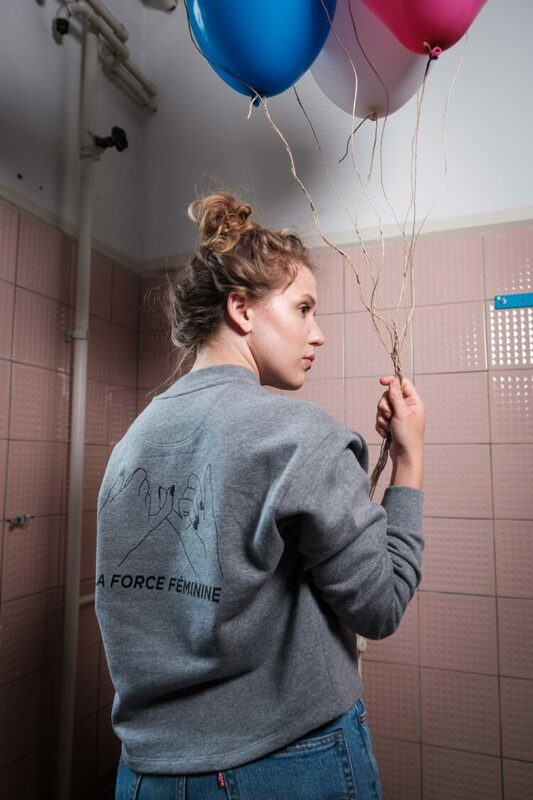 The sweatshirt is hand-printed in our kreuzberger store using the screen printing process. 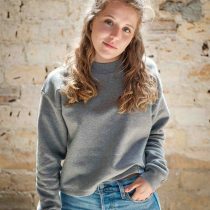 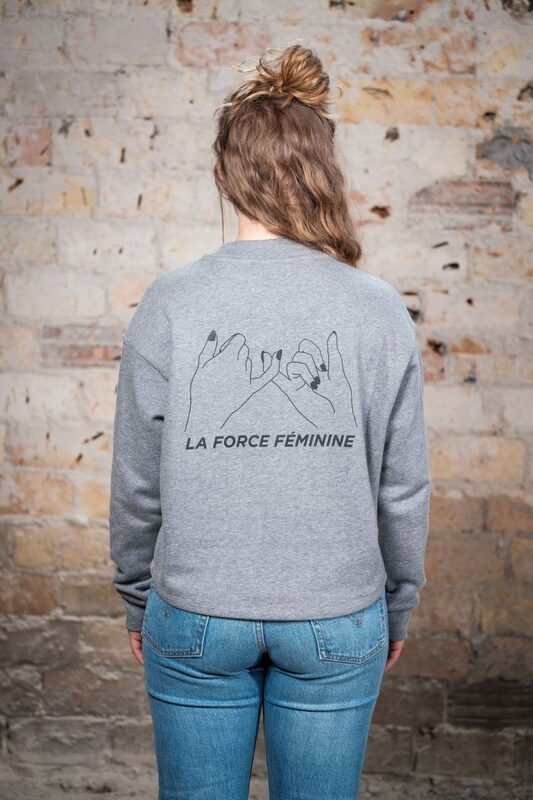 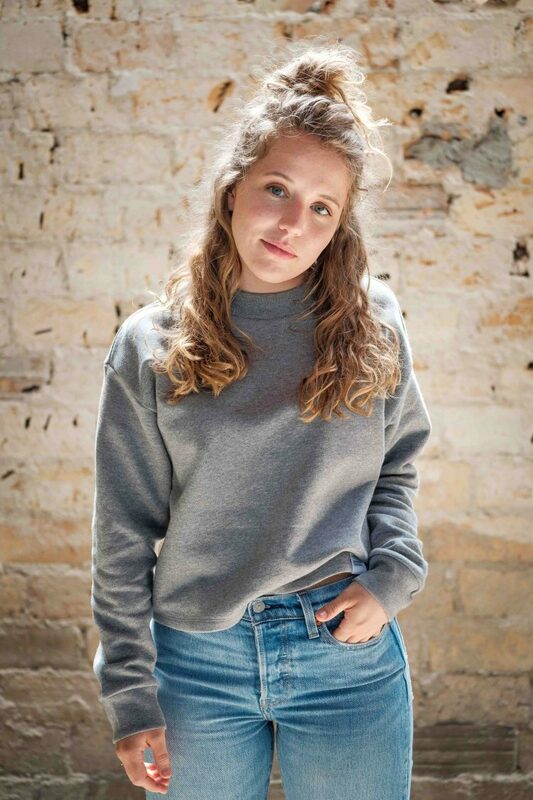 This is our loosely cut LA FORCE FÉMININE cropped sweatshirt, for women. 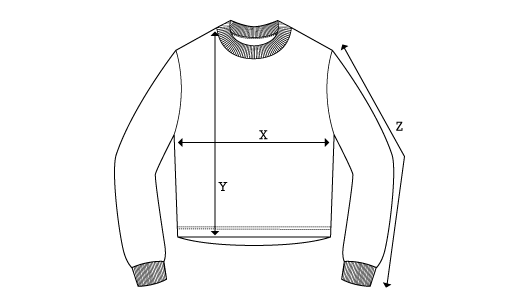 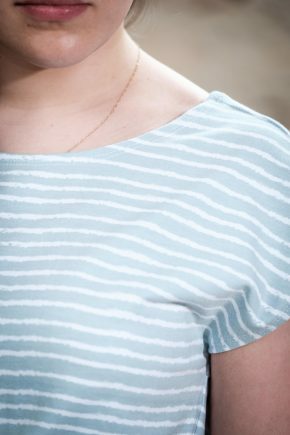 Cropped means that the sweatshirt has a slightly shorter cut. 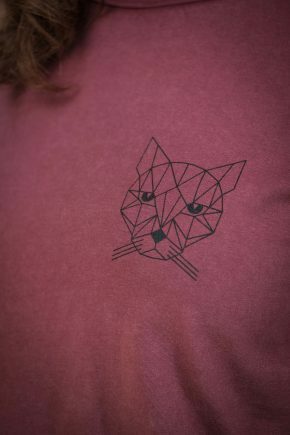 The fair produced sweatshirt has a high round neckline and is made of 100% organic cotton. 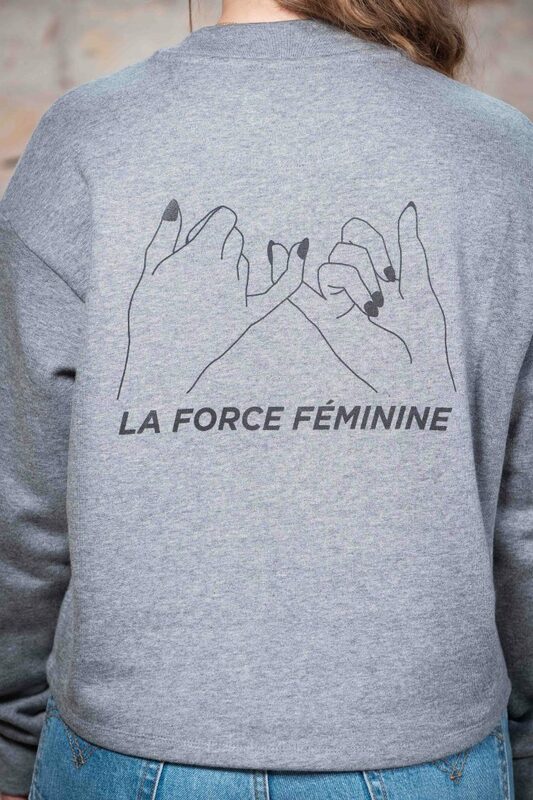 The large printed motive on the back is handmade by us in the screen printing process, with black GOTS certified color on the grey mottled sweatshirt.